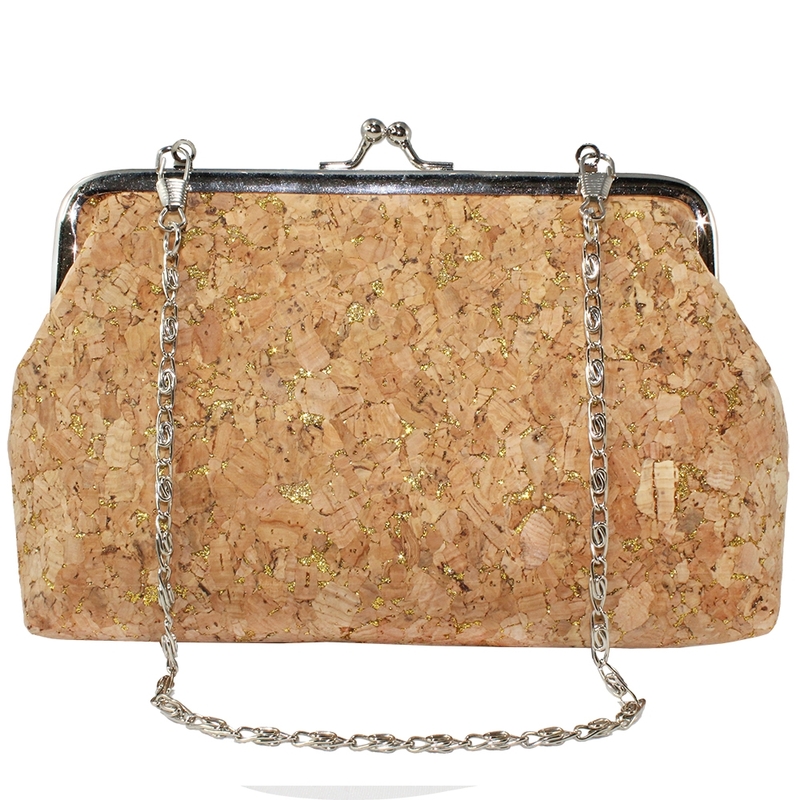 Cork handbag veined with gold. Metal clasp and silver chain. 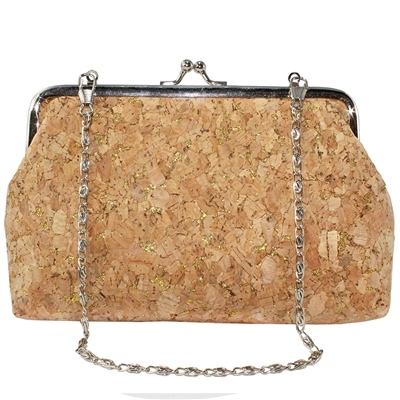 Chain and hooks can be hidden inside to use as clutch. 6pc min. Must order in increments of 6.